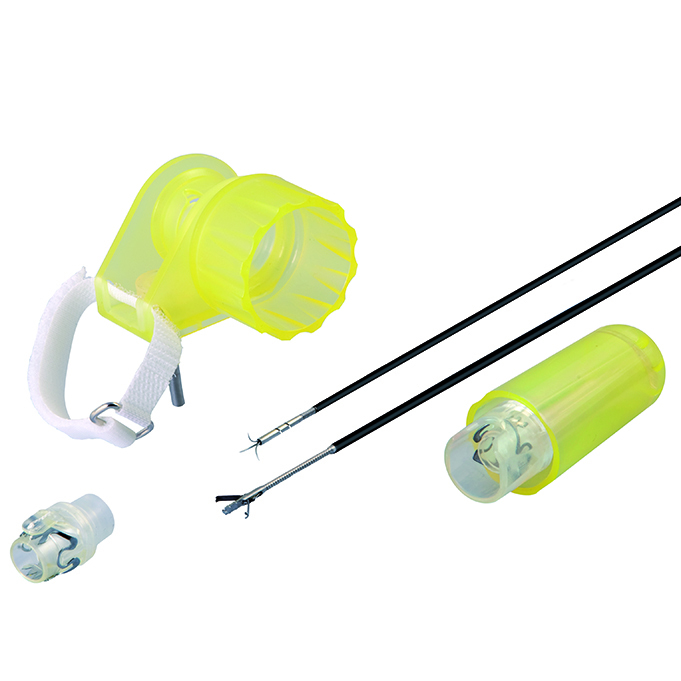 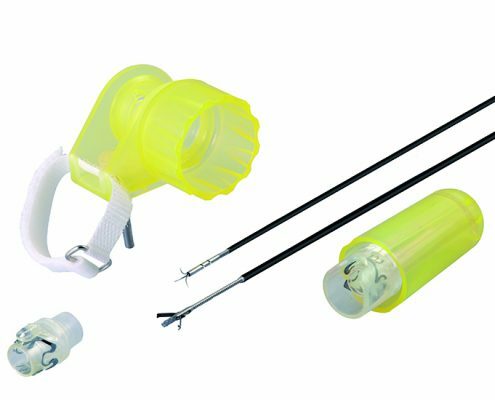 The Ovesco OTSC System Set consists of an applicator cap with a mounted OTSC clip, thread, thread retriever and a handwheel for clip release. 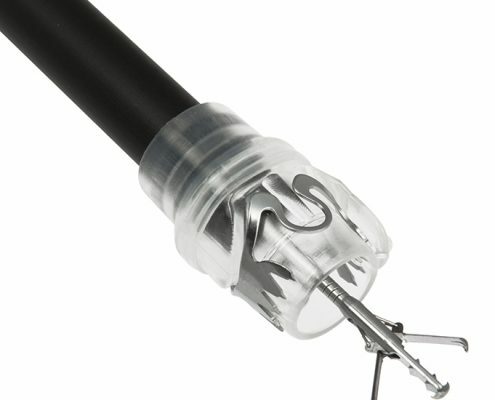 The OTSC clip for flexible endoscopy is a super-elastic Nitinol device for compression and approximation of tissue in the human digestive tract. 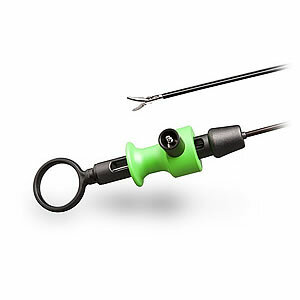 It is delivered by means of an applicator cap mounted to the tip of gastroscopes or colonoscopes and is released by tightening the thread with the hand wheel. 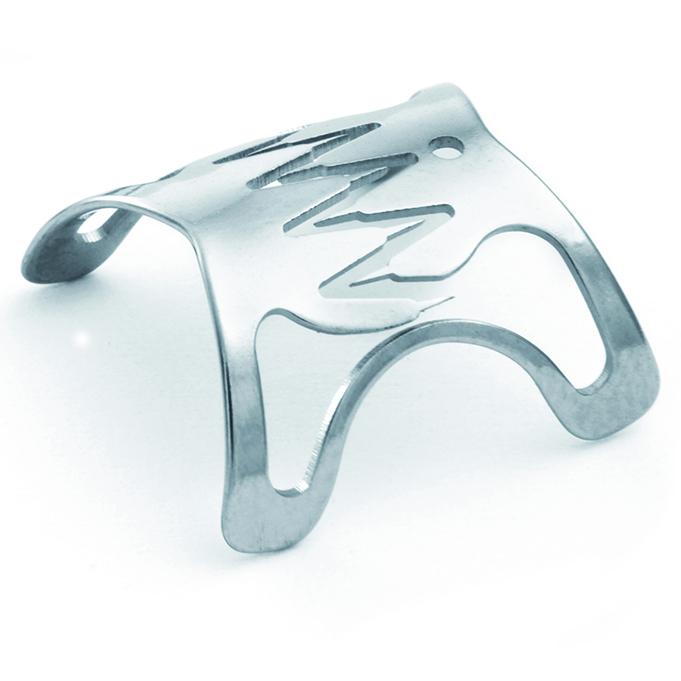 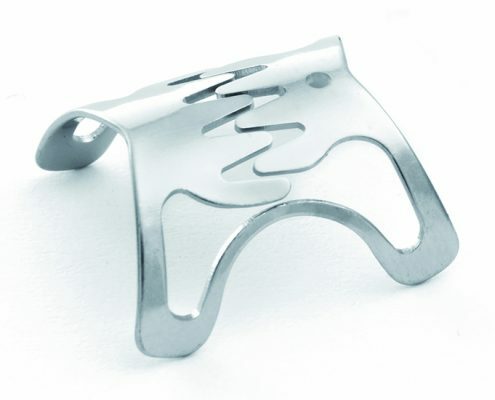 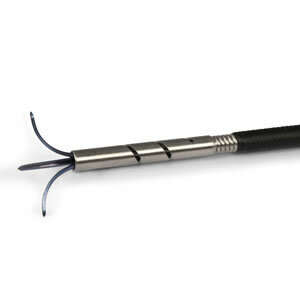 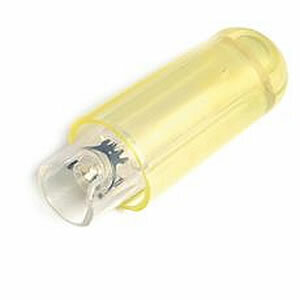 Based on its unique design the clip closes itself and firmly anchors the tissue to be compressed for hemorrhage or closure of a GI organ wall lesion. 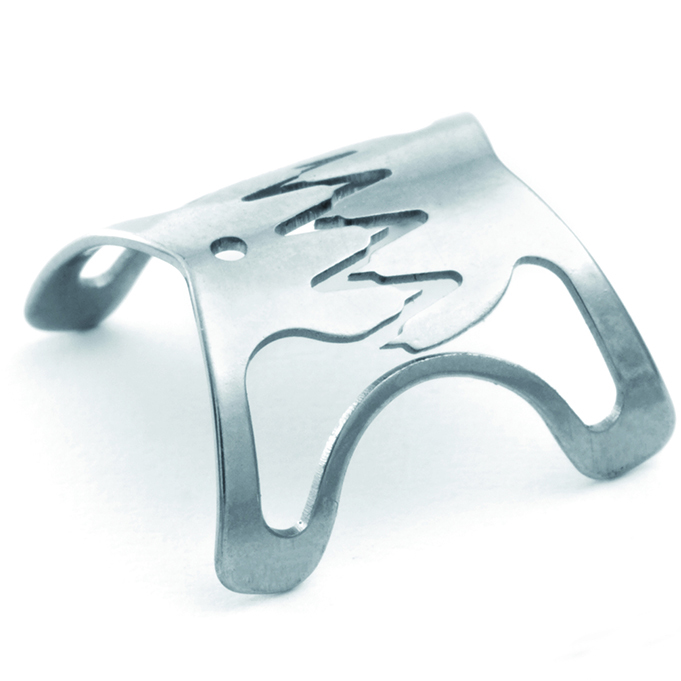 Due to its smart material properties, OTSC clip delivers constant force at the implantation site securing the therapeutic effect. 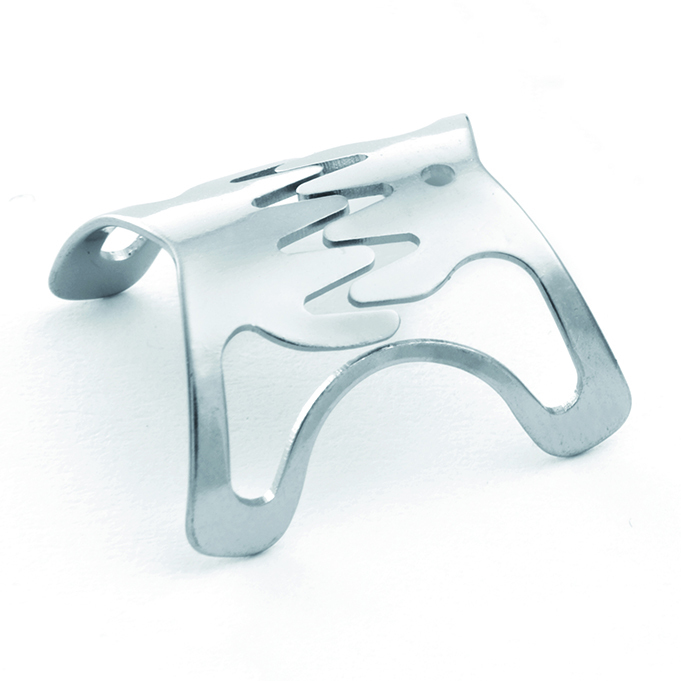 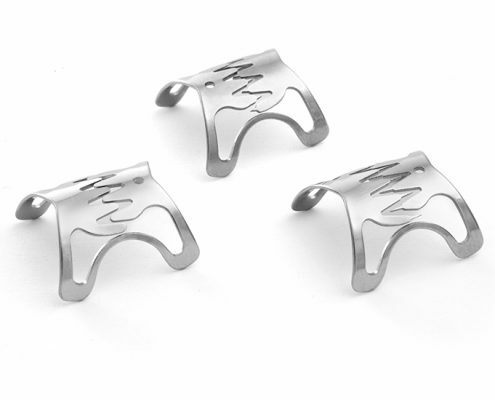 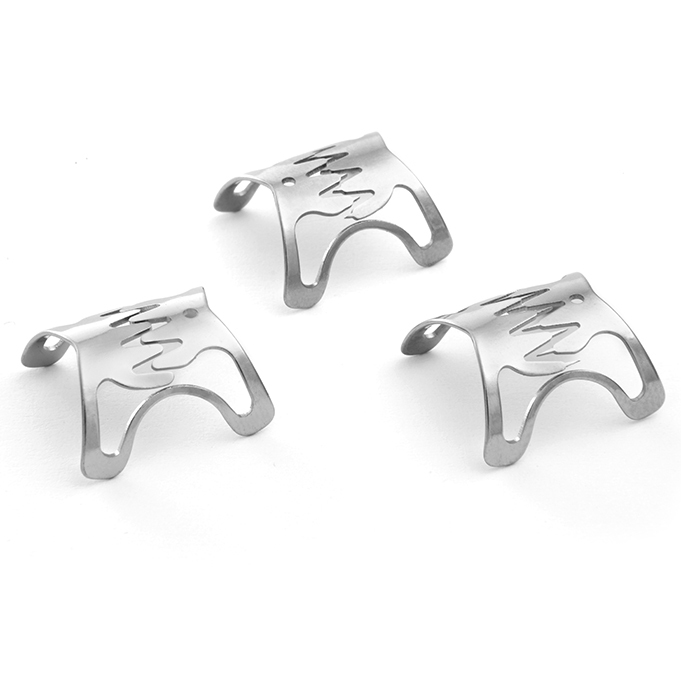 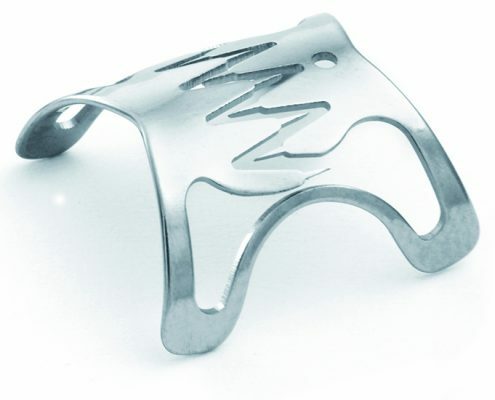 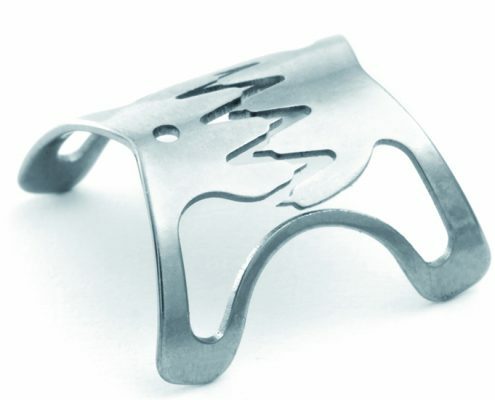 The OTSC clip is made of a biocompatible material and can remain in the body as a long-term implant. 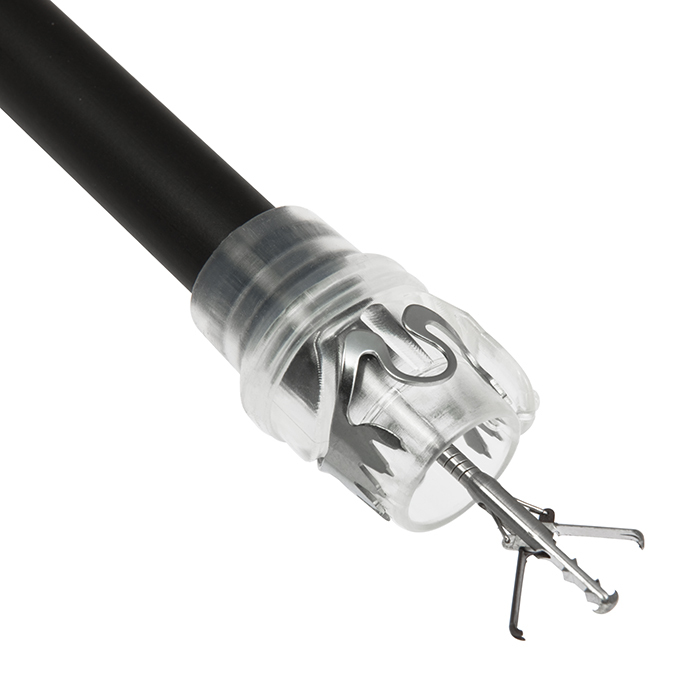 The system is very flexible and will thus allow for multiple indications and is compatible with most of the conventional equipment in endoscopy.